For most parents, the chilling prospect of losing a child in a car crash would be enough to persuade them from DUI in Los Angeles when their son or daughter is riding with them. But that didn’t deter one father in Cortland, New York, from getting behind the wheel when he had too much to drink. His six-year-old daughter paid for his bad decision with her life—and now the man will have plenty of time to think about his deadly mistake. 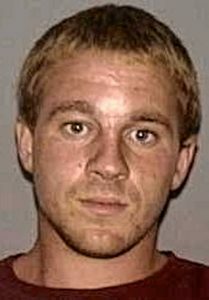 Daniel Haynes III, 30, could spend up to 21 years in state prison in New York under a plea deal he accepted in August. On the evening of April 24, 2015, Haynes was driving from one house to another on West State Road with his three daughters in the back seat. None of them—Alexia, age 6; Asia, age 8; or Arianna, age 10—were wearing seatbelts.